Get the latest Kabbee Promo code to use so that you can book your nearest, cheapest and loveliest minicabs. 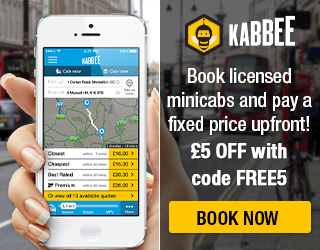 Kabbee Voucher Code May 2015 – £5 Free Credit on Your First London Cab Journey! Once you apply the voucher it is valid for 2 weeks on account bookings over £10.01. which means you can get your 1st cab journey for just 1p if your destination is just £10 away. Kabbee Voucher Code April 2015 – We’ve teamed up with Kabbee to get you a voucher code to give all new customers £10 off their first cab journey with Kabbee. So if you’re looking for minicabs in London then Kabbee have the solution for you. Get £10 Free Kabbee Cab Credit on your first ride with Kabbee. Kabbee are a price comparison and booking app serving you with the best minicabs in London to take you home. 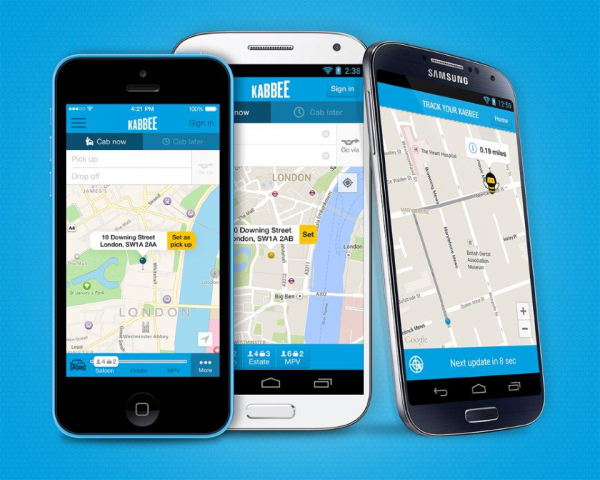 Kabbee helps you by instantly comparing over 70 cab fleets across London. Visit Kabbee.com and download the app (iOS or Android). With the Kabbee app you can search and book by car type, price, arrival time or by user rating, giving you the control when it comes to getting to your destination with ease. You can access the Kabbee platform on web, the Kabbee app or internet on your device – all you will need is to enter your location and destination and select from instant quotes in seconds! (Depending on your internet connection speed) Join now to get £10 free credit every time you send a friend your Kabbee referral code and you can always refer them to our Kabbee promo code too!